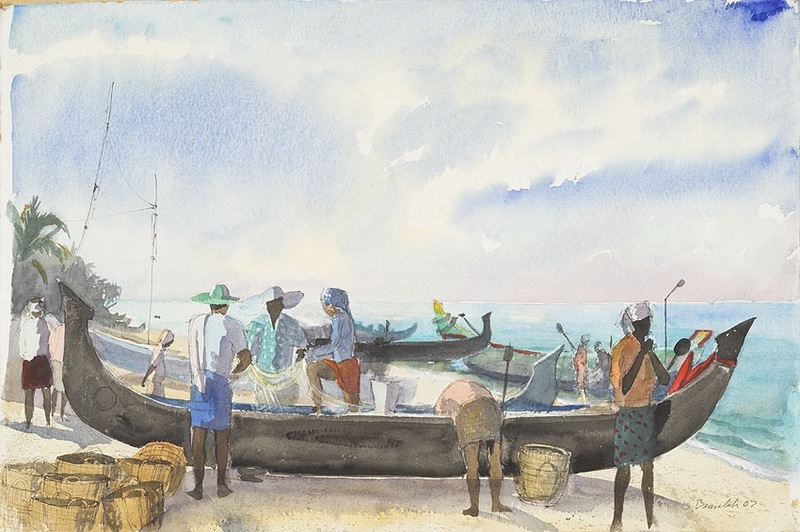 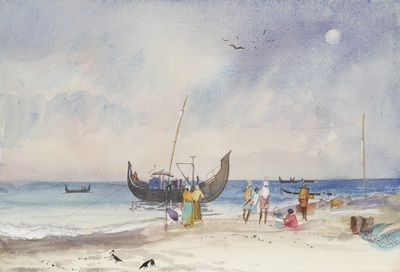 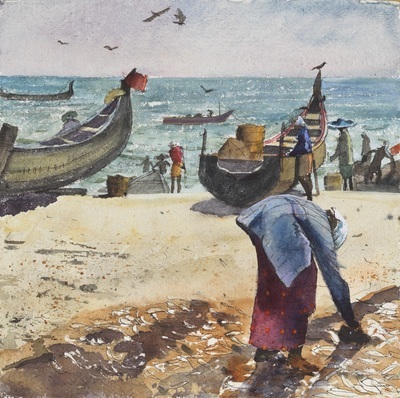 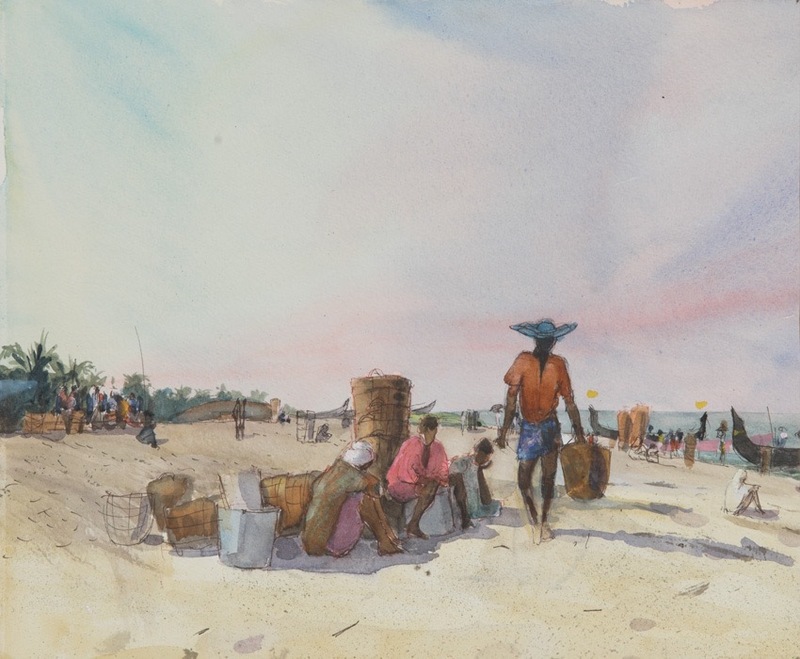 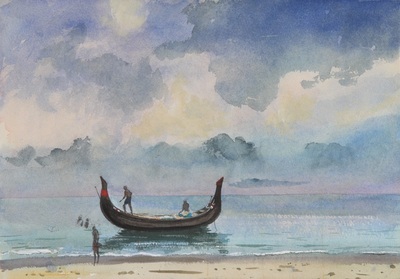 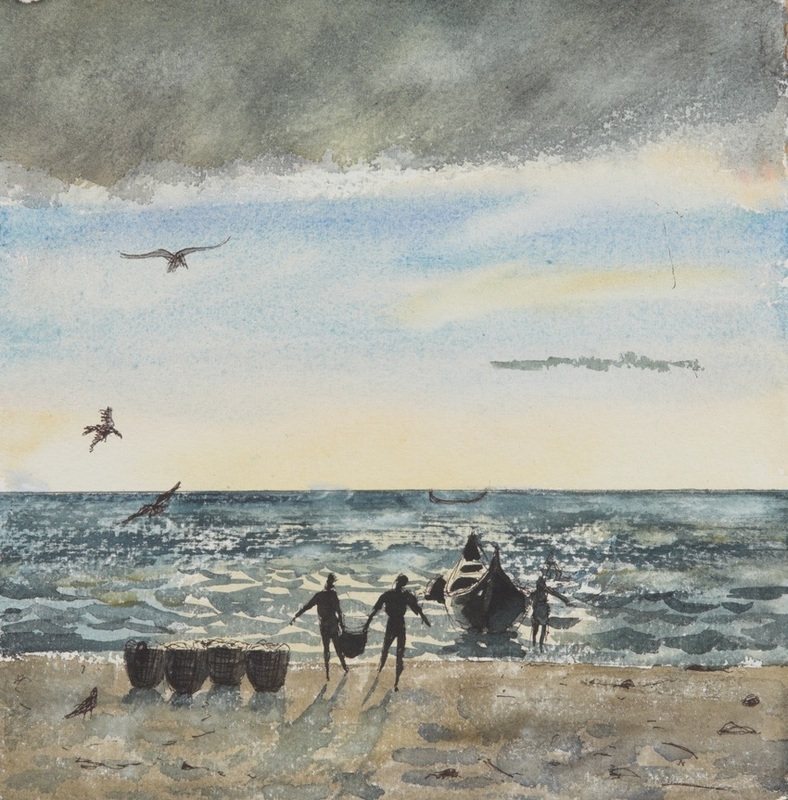 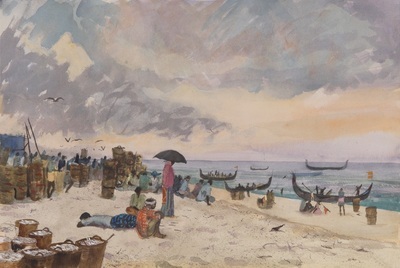 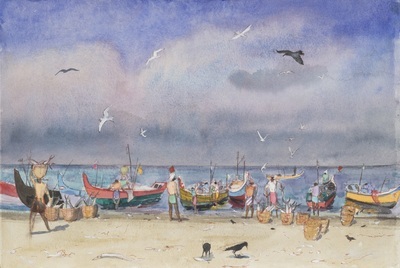 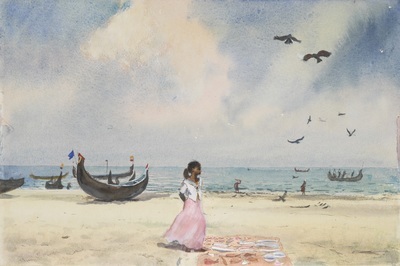 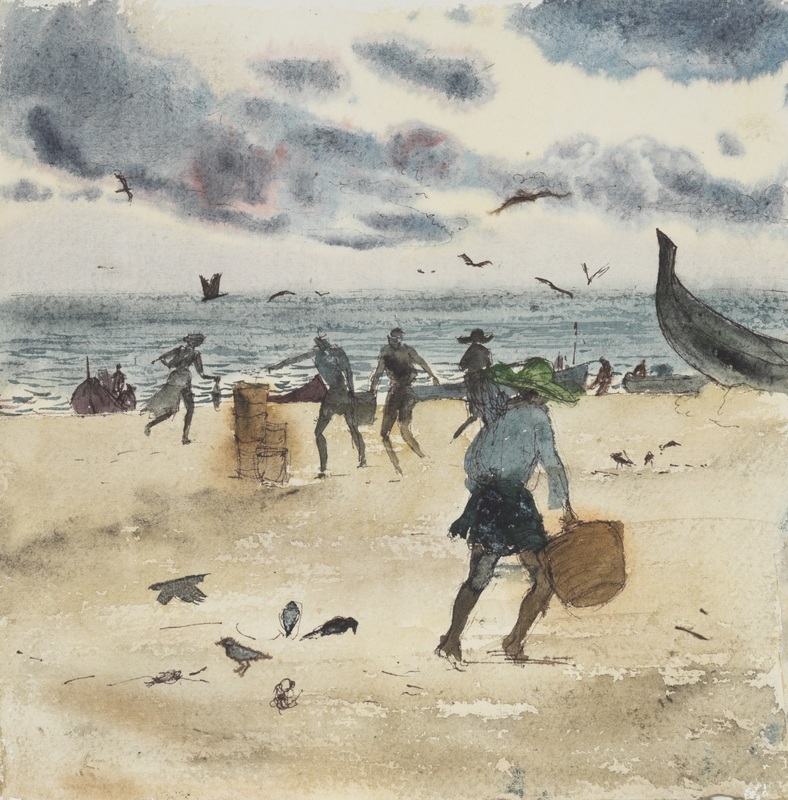 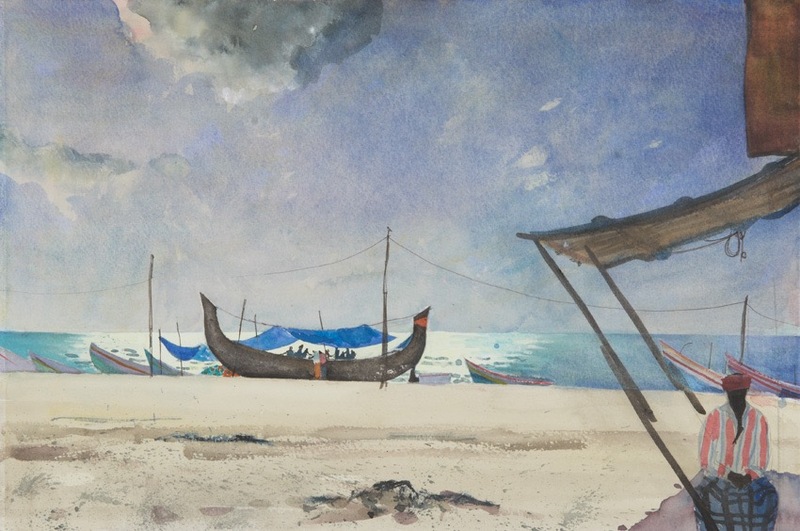 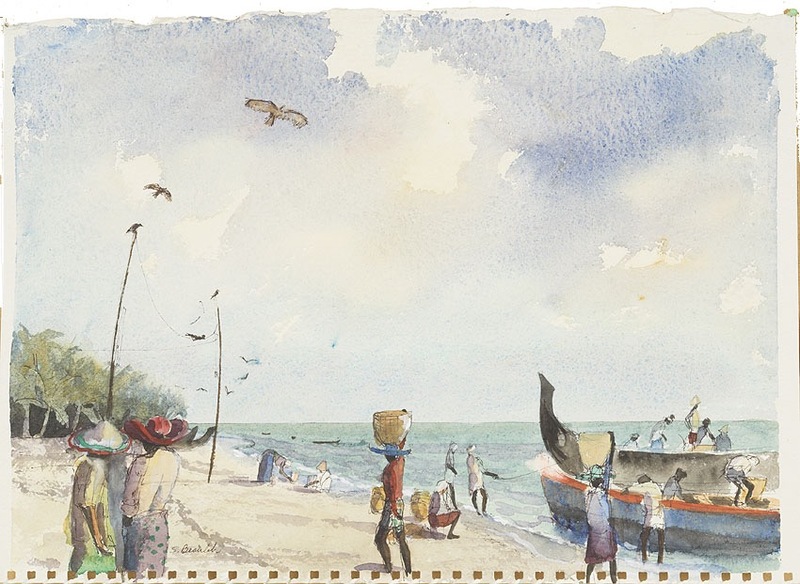 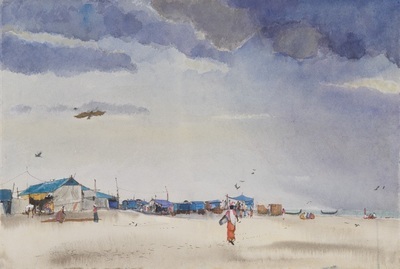 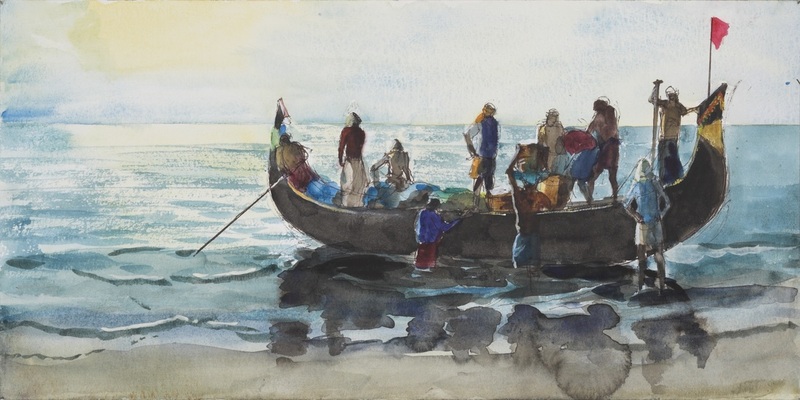 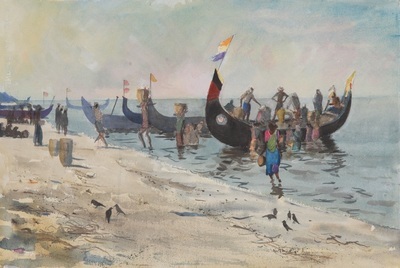 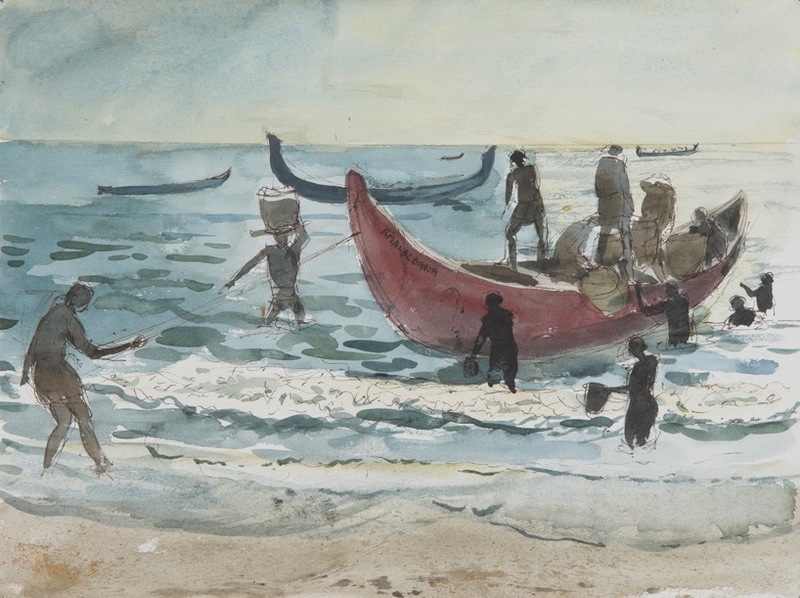 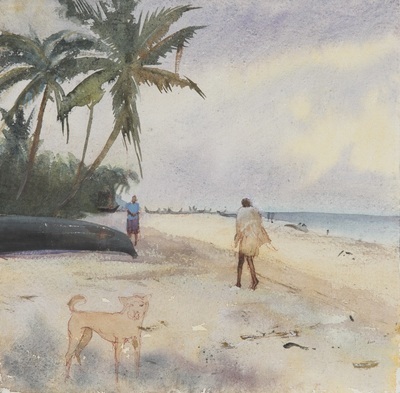 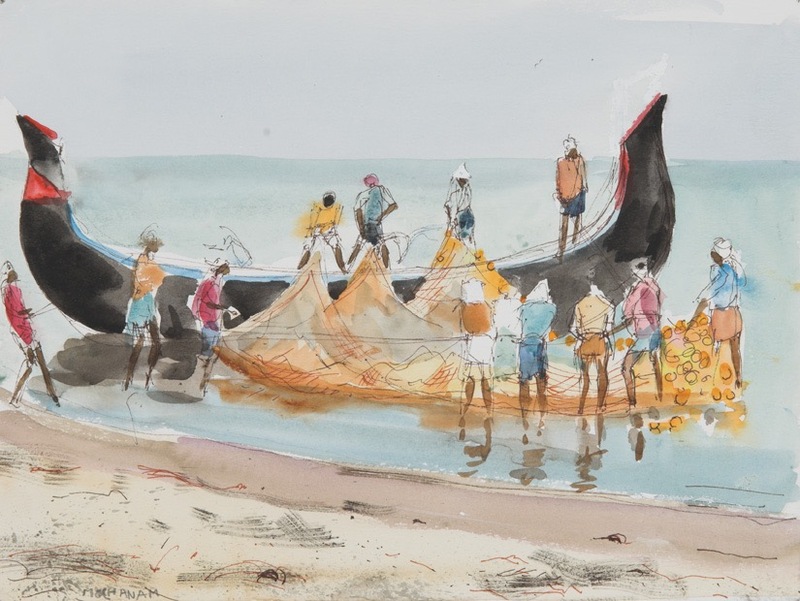 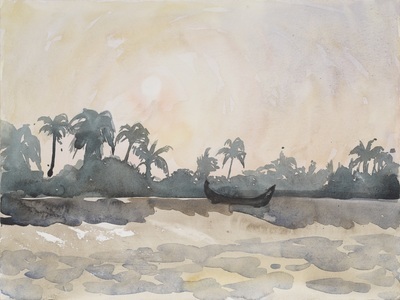 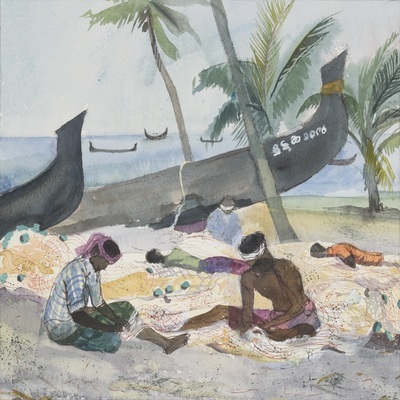 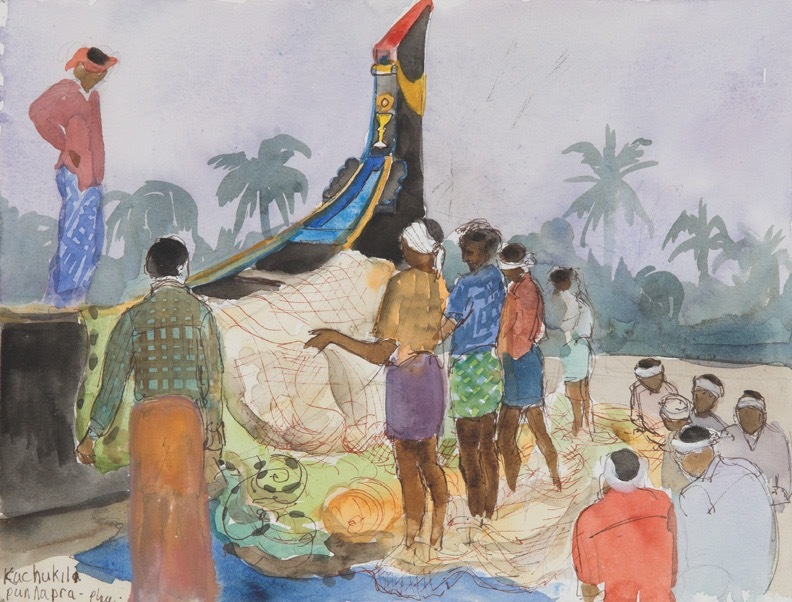 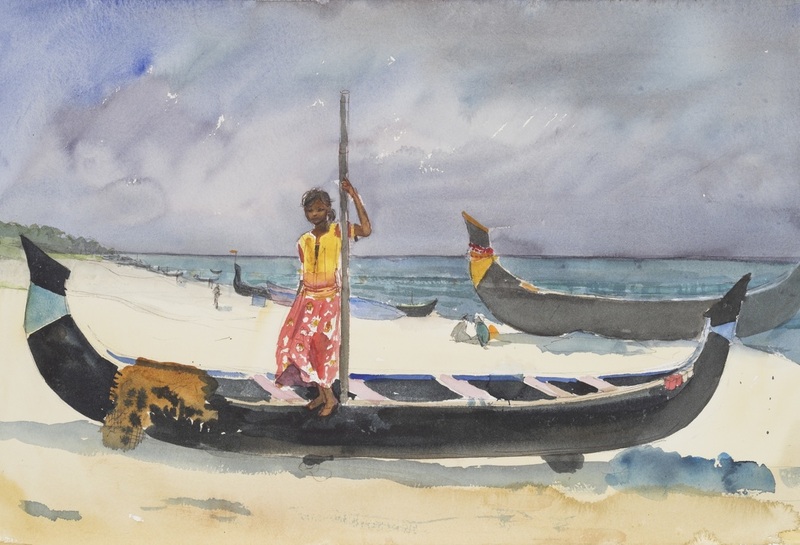 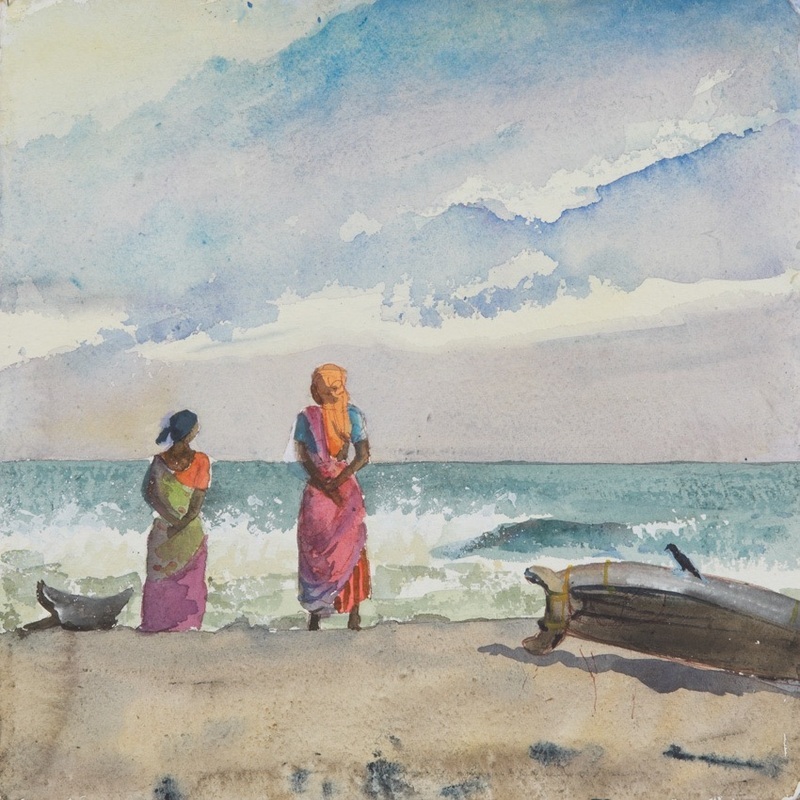 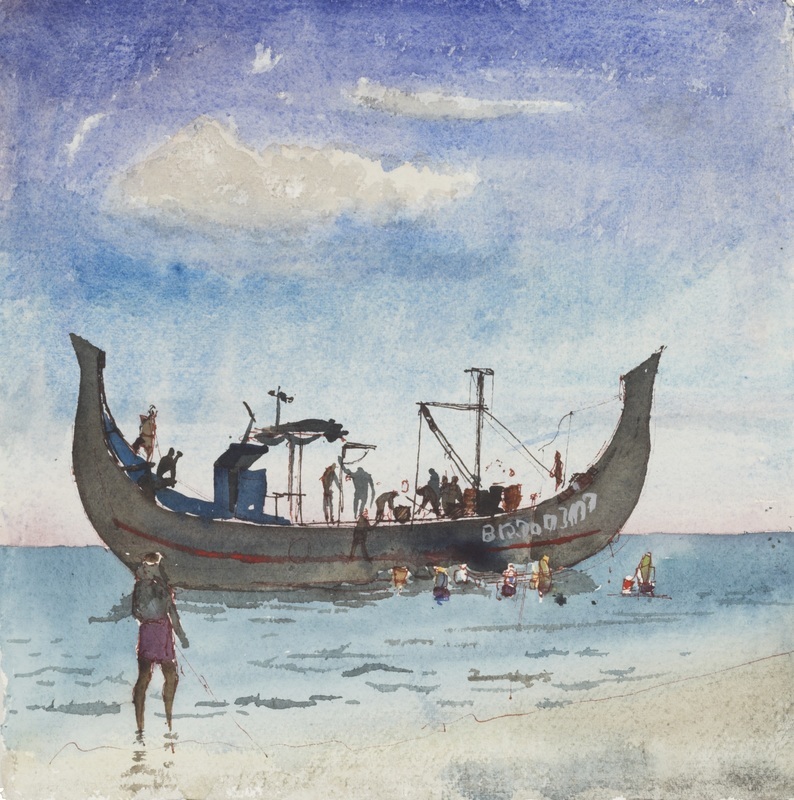 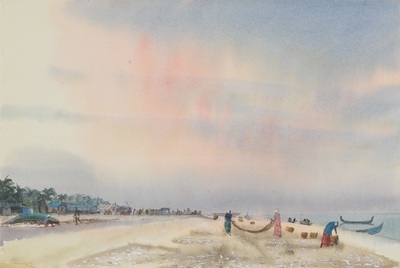 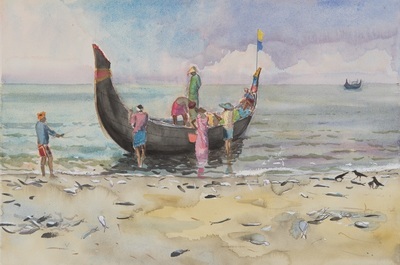 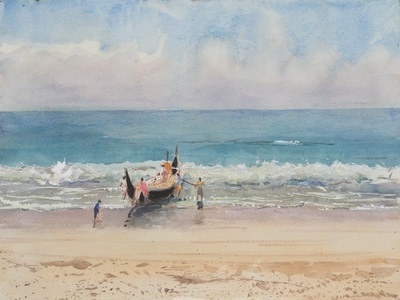 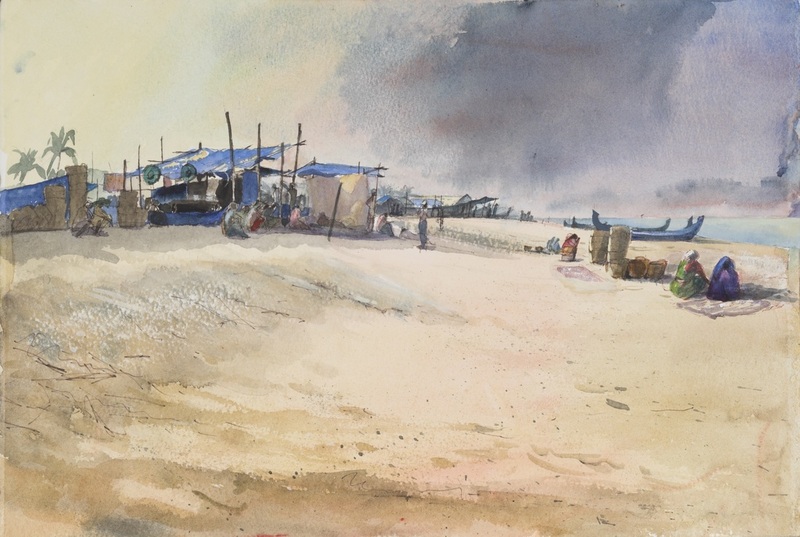 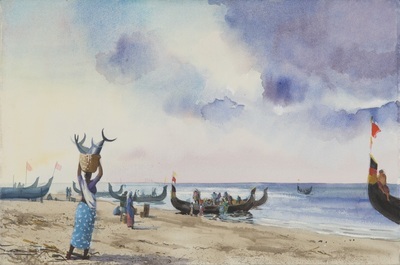 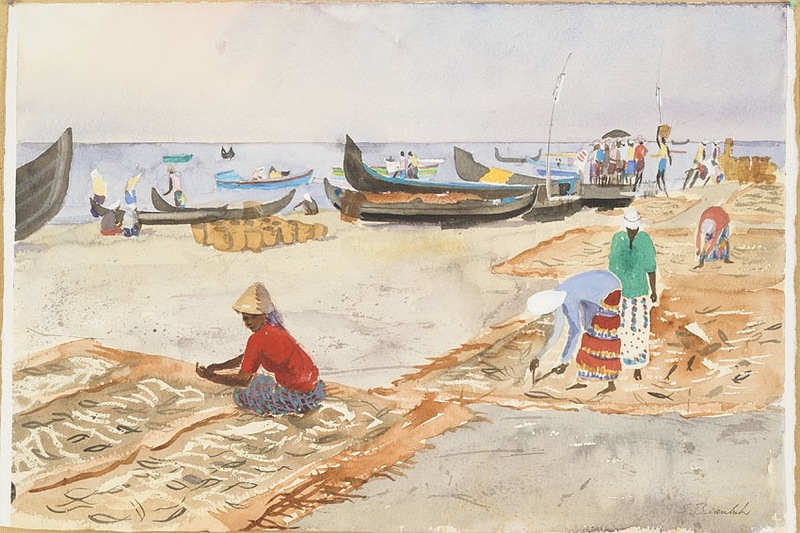 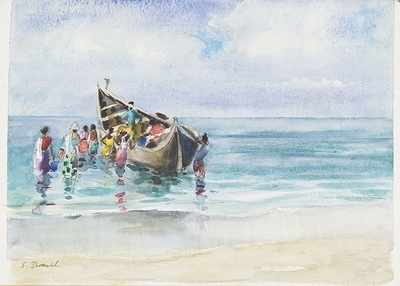 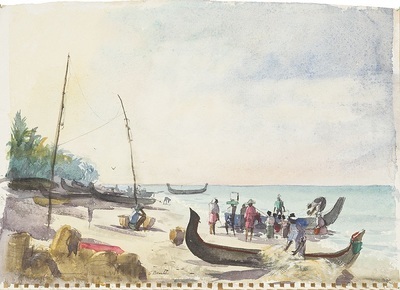 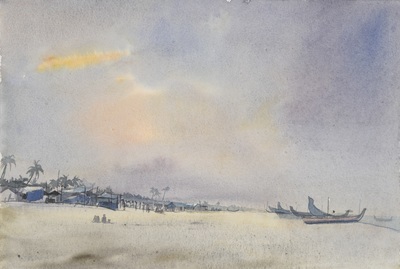 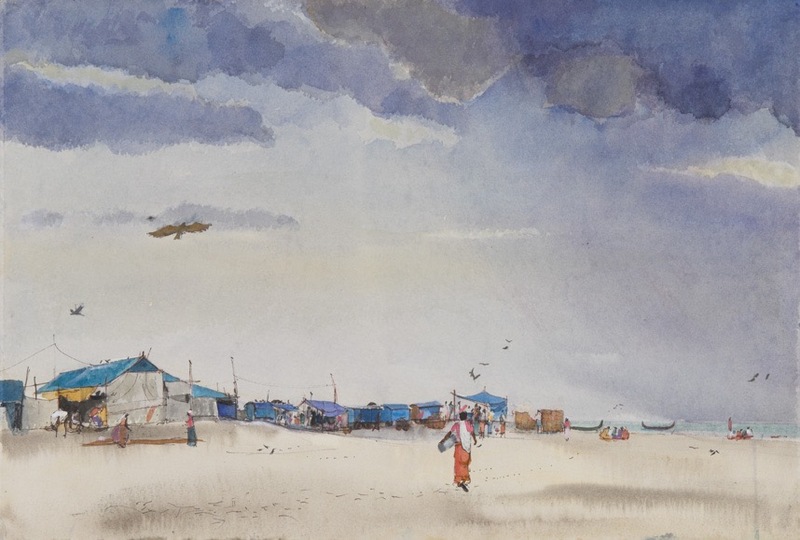 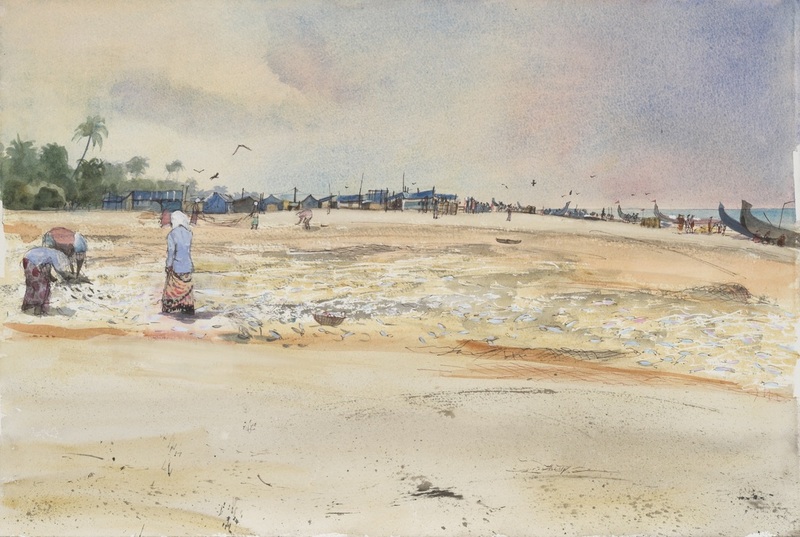 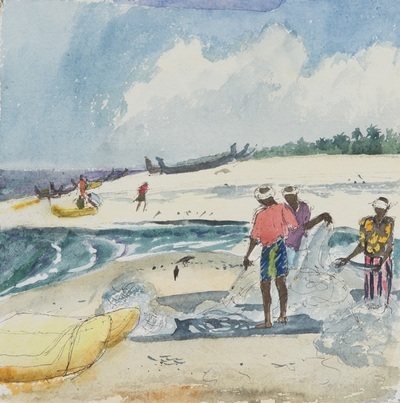 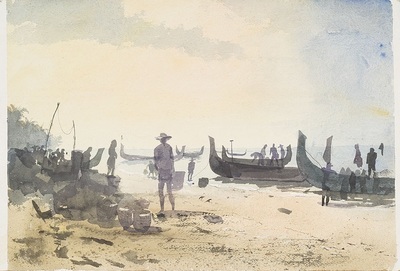 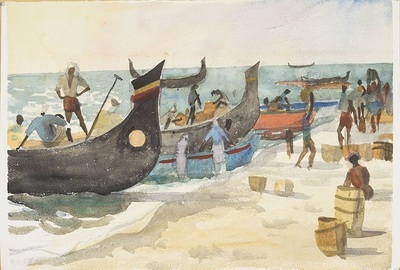 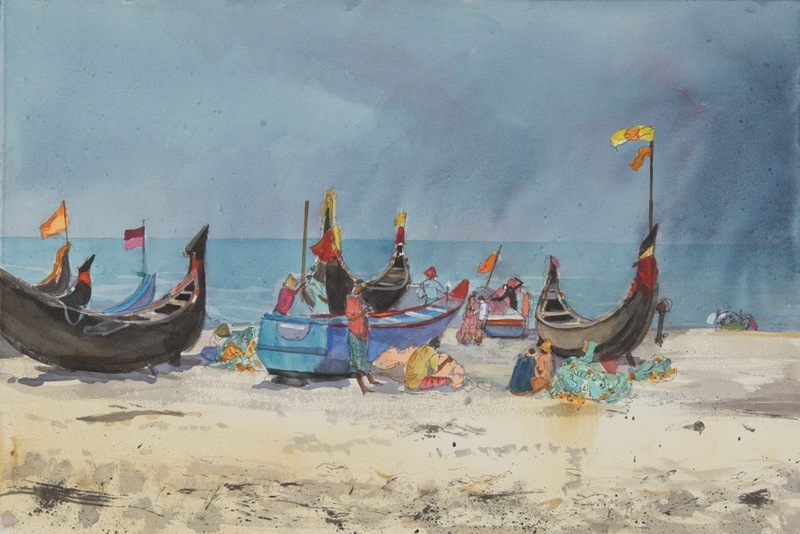 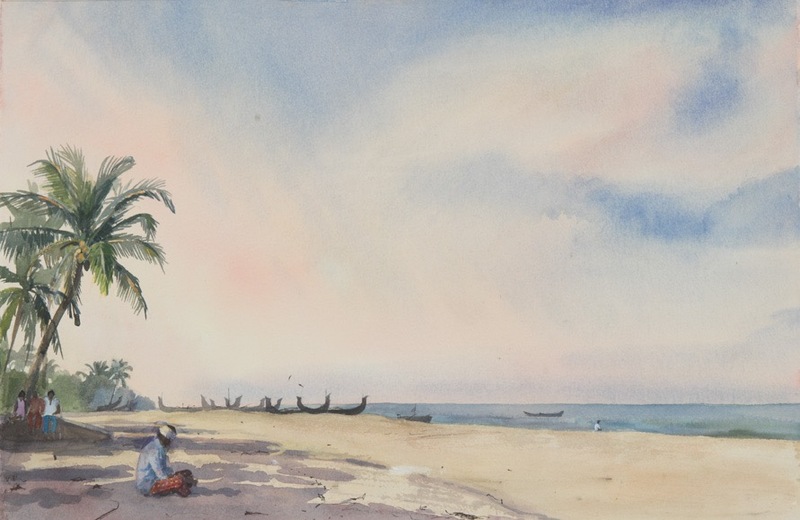 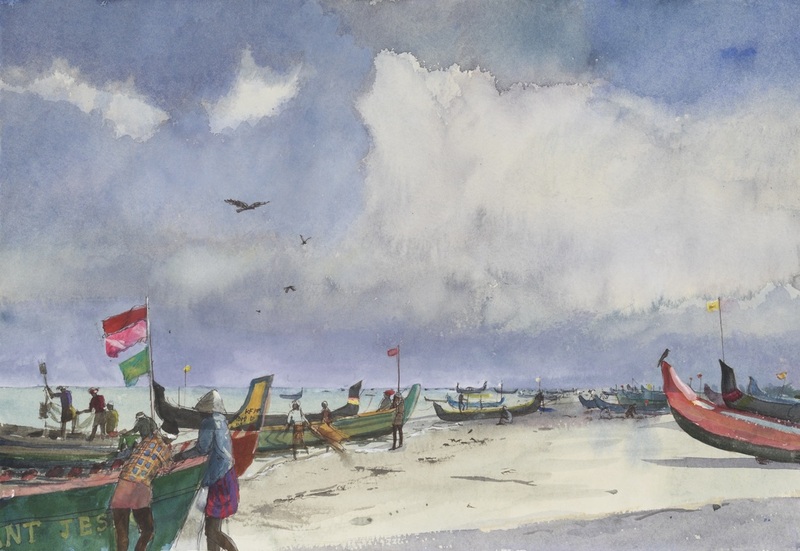 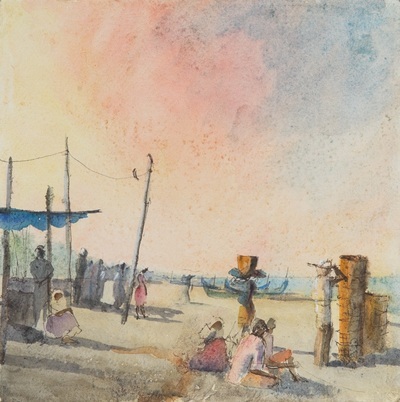 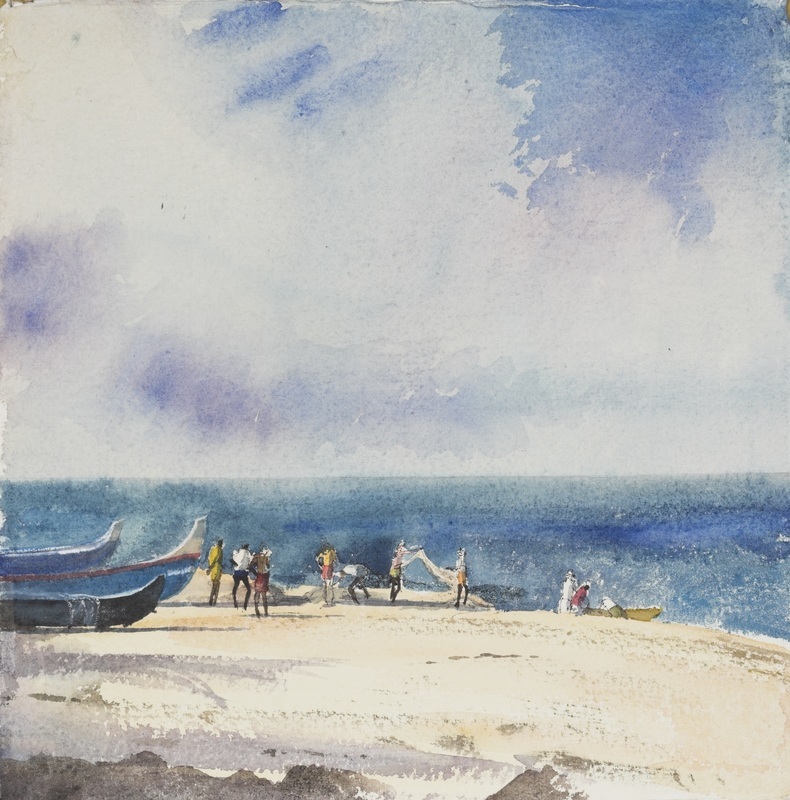 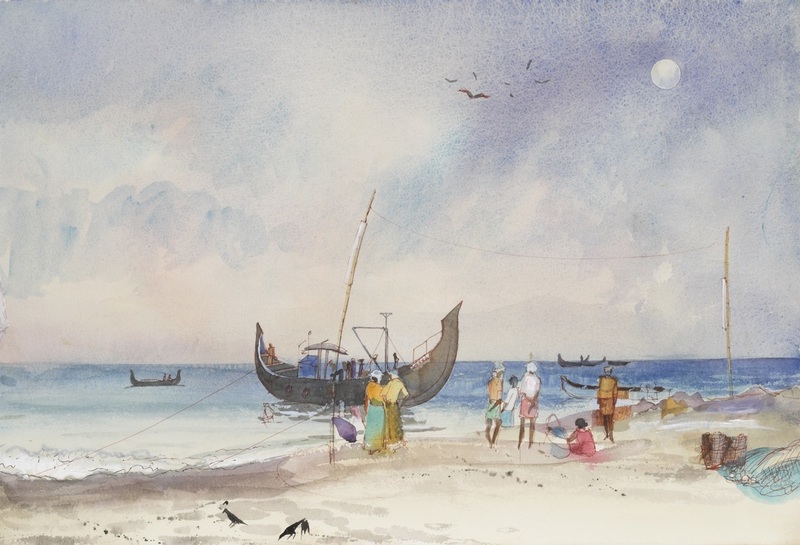 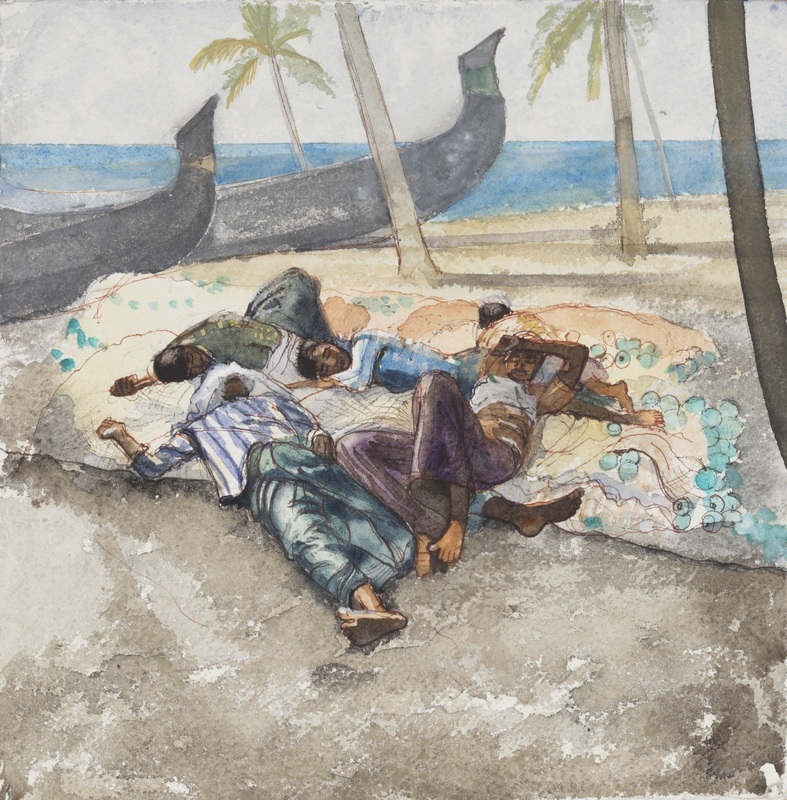 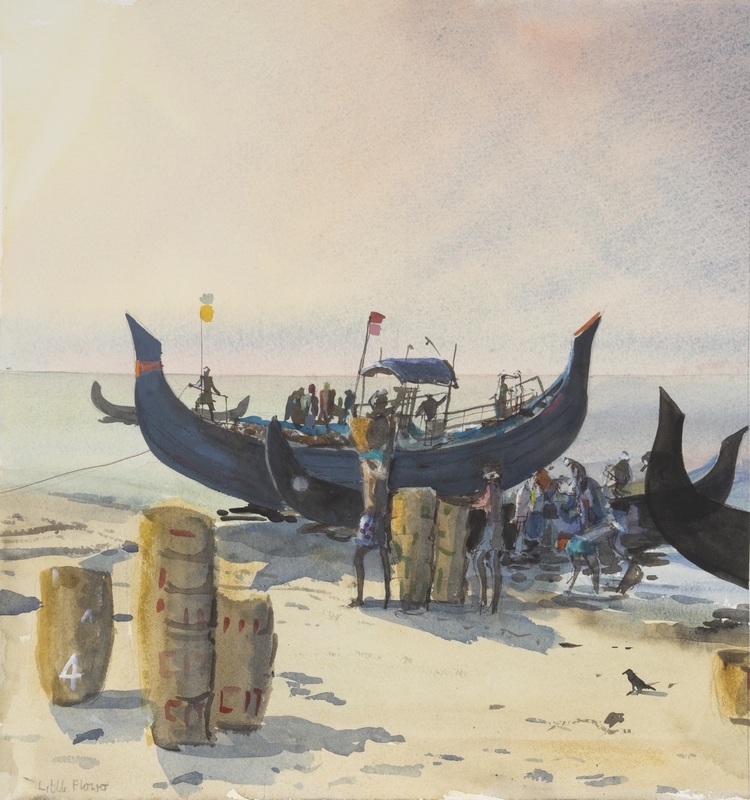 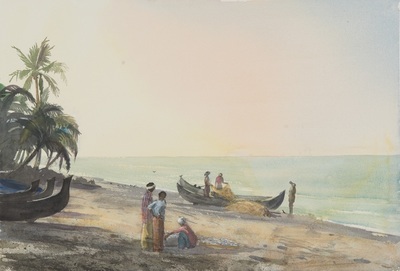 I spent eleven years painting these watercolour scenes of a fishing phenomenom known as the Chakara on the remote beaches of Kerala in South India. 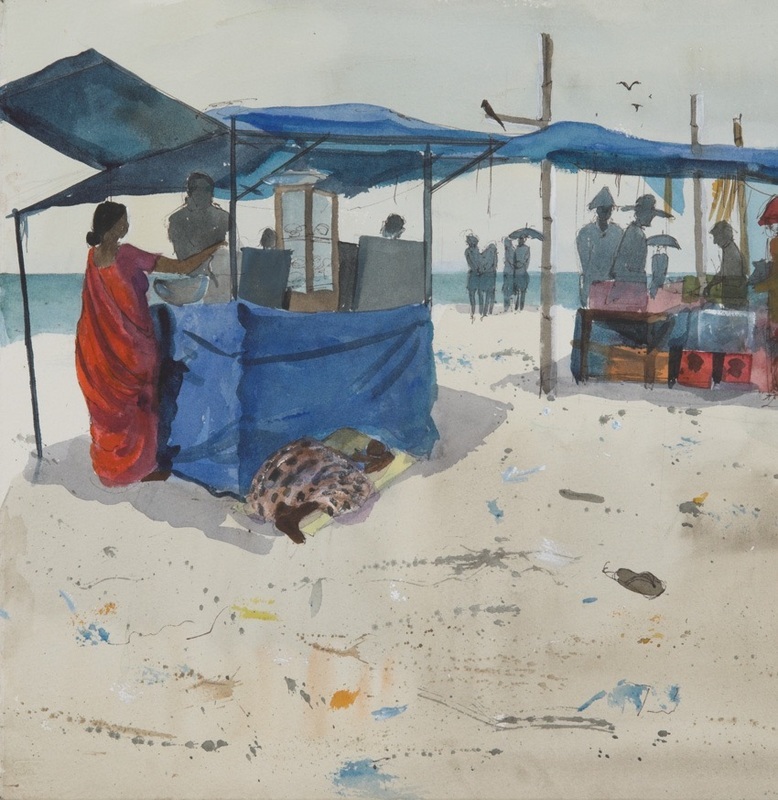 All these paintings are produced on the spot and are a documentation of life as it is. Acclimatising to the hardships of the beach and negotiating a working relationship with the local fishermen was a delicate and often nerve wracking experience. 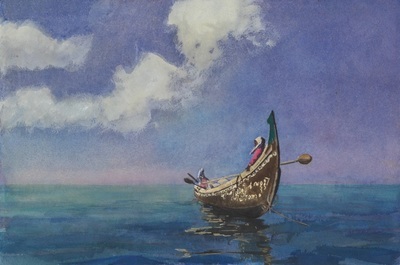 I had to employ a guide. My umbrella is a popular place for the fisher folk to sit, it provides shade and entertainment as I paint for my audience as well as myself. 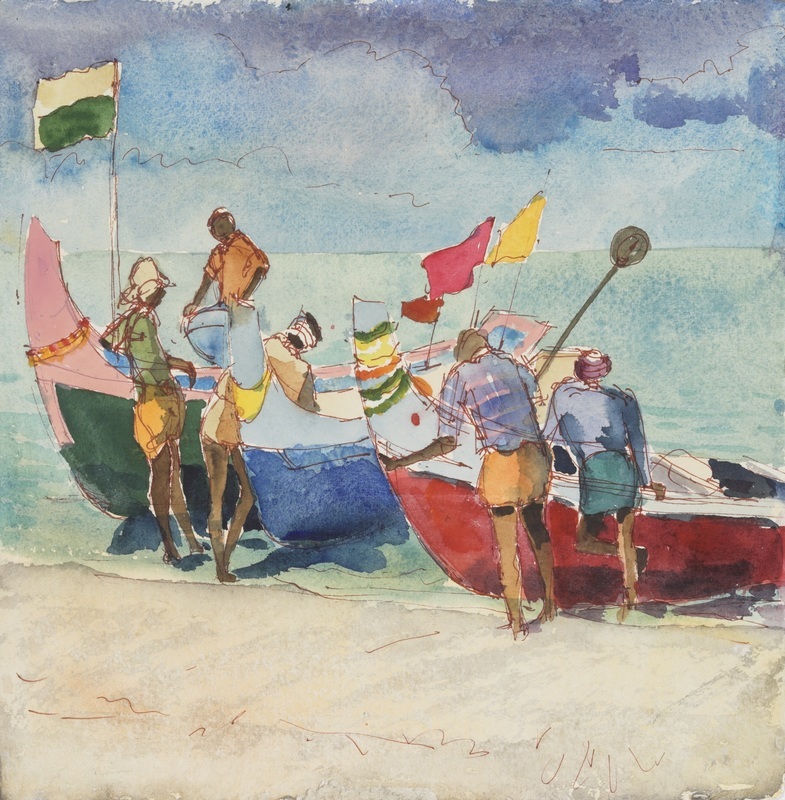 Figures are added to my paintings on demand and the details on their boats must be included. This input of their energy makes my studies quite unique. 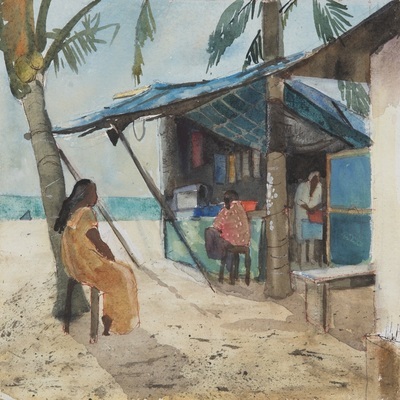 I tell my story in a book ‘Kerala Chakara By Susan Beaulah’. Click on any image to see the whole painting.